Rome ( Italian: Roma; Latin: Rōma) is a city and special comune (named "Roma Capitale") in Italy. Rome is the capital of Italy and also of the Province of Rome and of the region of Lazio. With 2.9 million residents in 1,285.3 km2, it is also the country's largest and most populated comune and fourth-most populous city in the European Union by population within city limits. 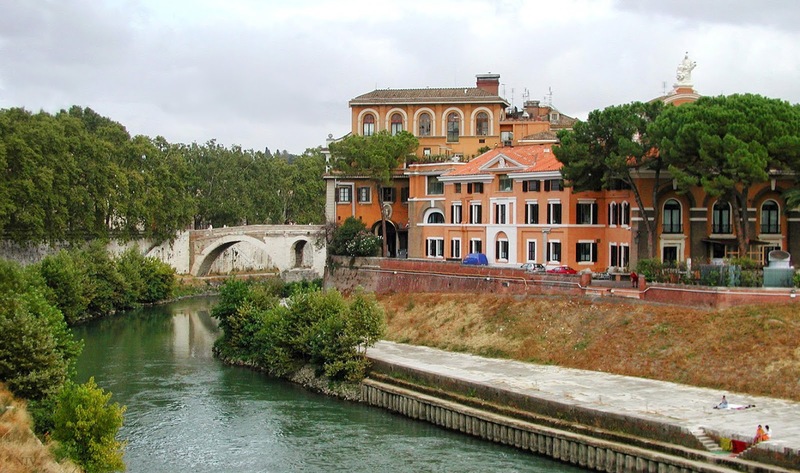 The urban area of Rome extends beyond the administrative city limits with a population of around 3.8 million. Between 3.2 and 4.2 million people live in Rome metropolitan area. The city is located in the central-western portion of the Italian Peninsula, within Lazio (Latium), along the shores of Tiber river. Vatican City is an independent country within the city boundaries of Rome, the only existing example of a country within a city: for this reason Rome has been often defined as capital of two states. Rome's history spans more than two and a half thousand years, since its legendary founding in 753 BC. Rome is one of the oldest continuously occupied cities in Europe. It is referred to as "The Eternal City" (Latin: Roma Aeterna), a central notion in ancient Roman culture. In the ancient world it was successively the capital city of the Roman Kingdom, the Roman Republic and the Roman Empire, and is regarded as one of the birthplaces of Western civilisation. Since the 1st century AD, Rome has been considered the seat of the Papacy and in the 8th century it became the capital of the Papal States, which lasted until 1870. In 1871 Rome became the capital of the Kingdom of Italy, and in 1946 that of the Italian Republic. Beautiful photo! Would like to go to Italy some day. Rome is indeed a beautiful city, and a destination many travellers dream of visiting. Your photo is also beautiful, befitting 'The Eternal City'!